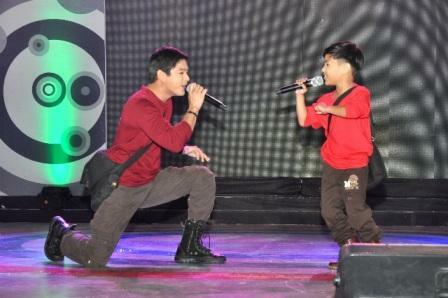 Coco Martin and Izzy Canillo: The Two 'Juan Dela Cruz' Conquer Market! Market! 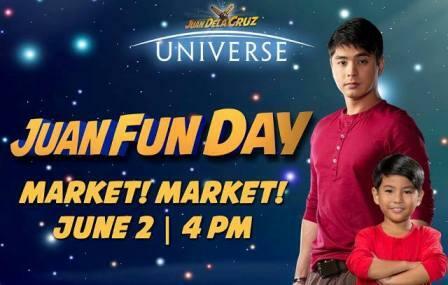 Teleserye Prince Coco Martin and Kapamilya child wonder Izzy Canillo will turn up the “Juan dela Cruz” fever as the expanding universe of Philippine TV’s favorite superhero throws another ‘Juan Fun Day’ this Sunday (June 2), 4pm, at the Market! Market! Activity Center. Join the whole cast of “Juan dela Cruz” and “My Little Juan” as they thank and bond with their avid fans through a ‘Juan-derful’ string of surprises and production numbers. Meanwhile, watch out for the next ‘Juan Fun Day’ at Ayala Center, Cebu on June 8 (Saturday); Abreeza Mall Davao on June 16 (Sunday); Marquee Mall, Pampanga on June 22 (Saturday); Tacloban on June 23 (Sunday); and in Palawan on June 29 (Saturday).